Heavy, sleek, and strong. I'd stake my life on it, no question. Nothing beats a Shinwa when it comes to blades!! very plain and unique in its own way. All in all its a good collectors item. For the people that do not know. Shinwa is BUDK, it is one of their trademarks, and they have a lot . 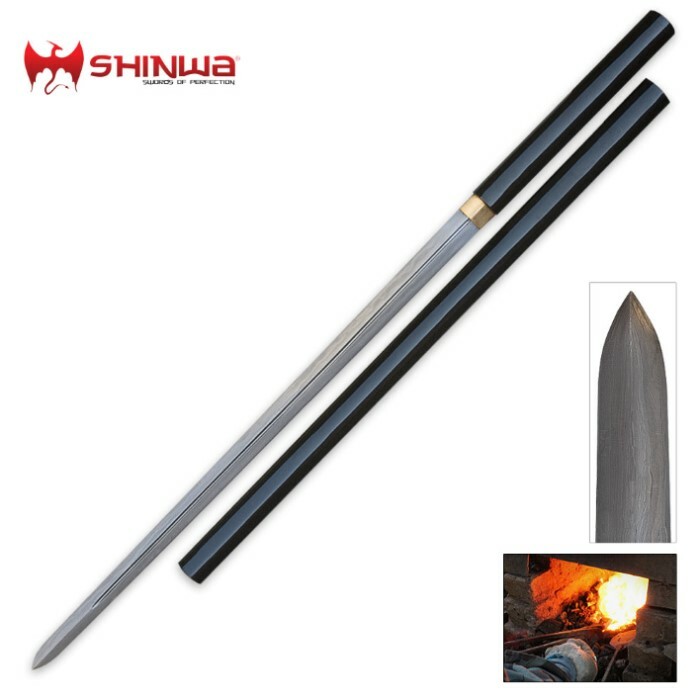 That being said, the forge in china that makes Shinwa also makes swords for many a buyer. I have two of these and two of their Katana. I have been collecting swords and other blades for 40+ years. And in all of that time, I have seen better, but at ten times the price. The blades are not as sharp as they could be. But, they can still kill a body. If the Blade was sharp, I would have given it five stars. Nice sword! I must admit, when I bought this I was looking for a sword stick. This is a bit large to be considered a cane of any type, but is awesome in and of itself. Is pretty much a broadsword in Japanese clothing :-). Here's the thing; I loved this sword. The blade is strong and flexible, but I got the very tip stuck in my floor (y'know, the way you do...) and the very tip delaminated. 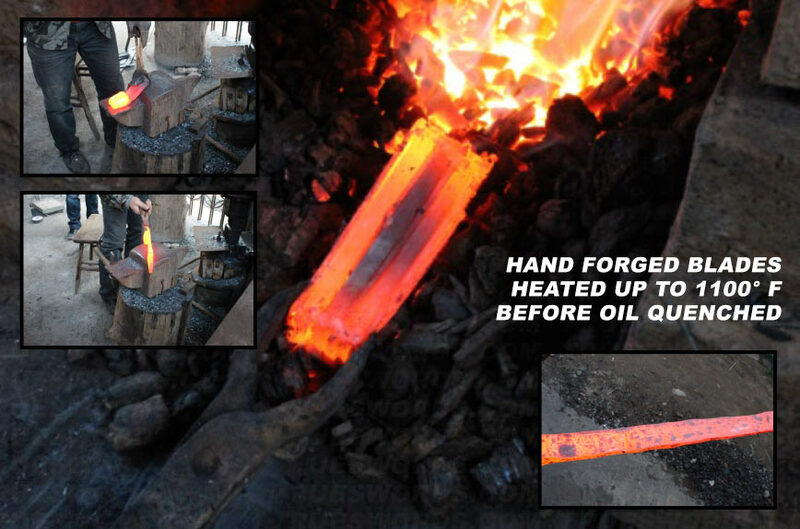 for about .25 inch, a little foil-like bit peeled out, like the tip got cold during the last welds or it heated up too much in grinding. Made a little divot at the tip, about half the width of this very wicked slender blade. Now, I thought about grinding it back out. I liked this blade that much, and looks mean squat to me. But the folks here at BudK just jumped to replace it. Makes me feel good about BudK, so I might go with a black Damascus version with a guard and a wrapped handle next. But, I'll tell you what -- this blade is nothing to sneeze at. Since it was going back anyway, I took it to an oak pell, just to see if any other bits would fall off. Nope. Totally solid. The tip was just a fluke. Nice flex on that blade, too. Even if I just end up getting another of these double-edge nodachis, it's a sweet blade. This is a great sword. Fits into the Saya great, and locks good enough that it won't just slip out. The edge was not that sharp to start with, but that was an easy fix. Wouldn't compare the cutting power of this to my shinken. So don't expect to do heavy cutting with it. The blade is probably an inch and a half wide or so at the base, and very thick in the center. A lot thicker/wider/ and heavier than I thought it would be. Almost comparable to some European swords. A great but for the price. And much easier maintenance than my shinken. A great quality sword that you can 'play around with' without a huge risk of breaking the blade. Excellent quality, well balanced and sharp, this sword is well worth the price. There was a small rough spot on the edge that was easily polished out and that was the only blemish I could find. 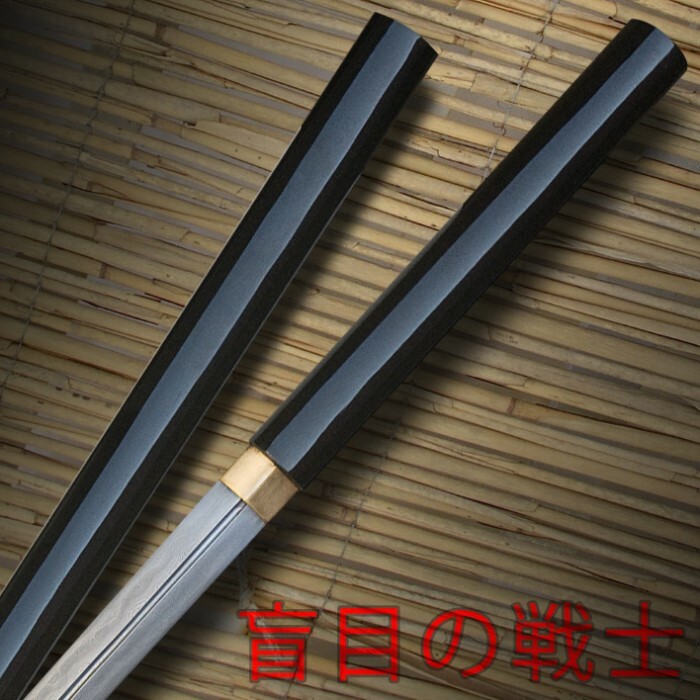 I will be recommending this product to anyone interested in a high quality sword.